Many of you read my email letters, so you already know why it’s been months since I’ve finished a blog post. (If you don’t get those emails—like the letter I sent yesterday, then just click here—you’ll be the first to know too.) Anyway, the secret is out now: My book has been published—finally! I don’t know if anyone will ever know what a miracle it is to have it done at all—even this many years behind schedule. Do you ever do things that are JUST SO HARD for you now—even though no one else knows it? This second kind of rheumatoid arthritis problem is hidden—just like most of RA / RD. And, we’re often dealing with both kinds, rolled into an ugly mess. Do you ever have rheumatoid arthritis problems like these? Sometimes, I feel like RA / RD makes me seem incompetent. I don’t want to have to explain why I can’t get things done, why I can’t get there on time, why I don’t seem to keep it together. And some people will just have to wonder why—because I don’t have time to explain anyway. The book launch is a perfect example. I’m not able to do it “the right” way. Each step is just what I can do. Everything else falls apart when I try harder to finish something. And that’s ok. This is it: Let’s not be too hard on ourselves. A harsh disease is enough. 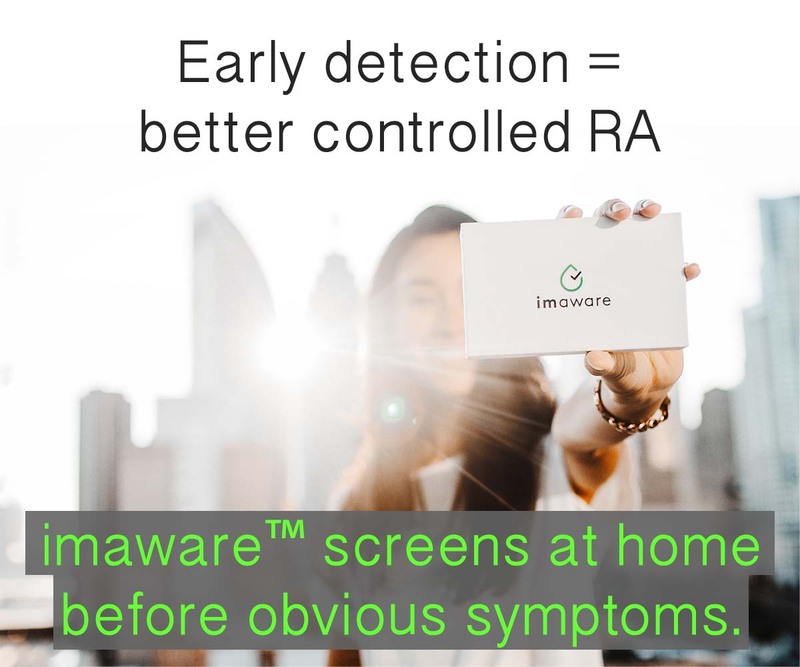 There’s no such thing as trying to measure up with RA /RD. If you go read that letter, you’ll know a little of how much you’ve meant to me. find out how to “buy” the book FREE THIS WEEK! HAVE YOU EVER FELT LIKE RA / RD MADE YOU LOOK LIKE A FAILURE? Just read your book, you got a 5 star review on amazon uk from me! Thank you so much for such a meticulously researched and important piece of writing on behalf of us all. 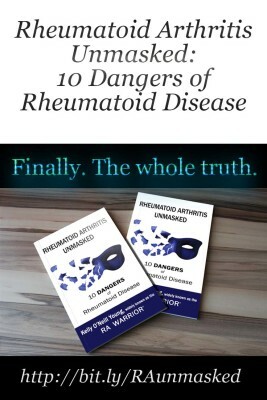 I just had a week where earlier symptoms of RD were denied as even being part of disease in favour of small joints as clinical diagnosis so your book made refreshing reading – why don’t they listen to patients? It touched on aspects of nomenclature that i hadn’t even considered like funding for research etc. i will defintely be lobbying some of organisations listed for name change. Only been diagnosed 3 months but fed up with explaining it is not like osteo already. I really appreciate the time and energy that must have gone into writing it whilst suffering this awful disease. I intend to recommend it on UK NRAS site too. You are a real advocate for change: thank you so much. 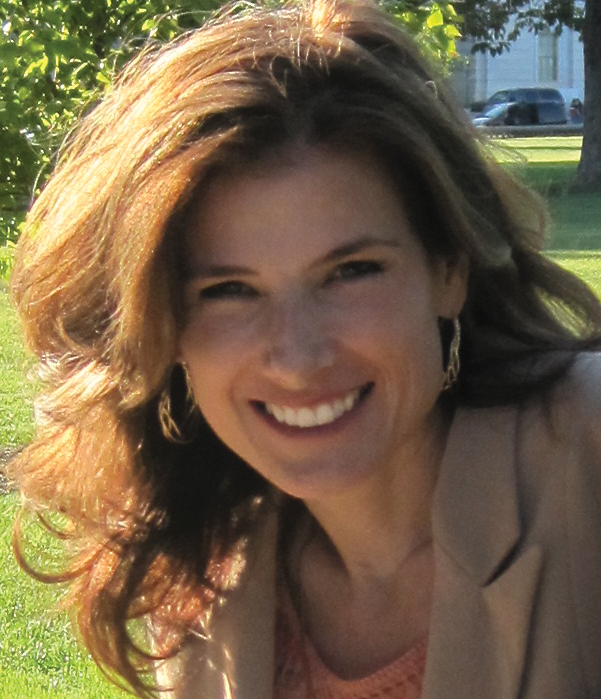 Thank you, Keren, for taking time to give feedback and help move our battle forward. This is definitely the best way I could have ended my day – to check in here and read your words. To your question – it is 2 things. Doctors are trained to think they know more than non-doctor, of course. It’s a well known problem, sometimes called “eminence based” medicine (as opposed to evidence-based). The second thing: the textbooks that they read are behind the science – usually by a few years. In RD, they are much more behind. As I wrote in the book, there have been other generations that tried and failed to change the status quo. I think this time we will succeed because it is grassroots and worldwide AND the evidence is clearer. Thanks Kelly, I really hope so! My lovely daughter said the other day if she was an expert in the field she would be reading everything she could lay her hands on and especially the most up to date research as well as listening to patients. Couldn’t agree more on the eminence/evidence basis or should that be bias?! I am 3 months in and have already given up mentioning anything that isn’t joint related to them. Yes I know the NHS is underfunded and overstressed in this country but it’s 2017 and even the NRAS site here give an excellent concise definition of exactly what Rheumatoid Disease is on their literature and how different to osteo; hospitals are heavily dependent on it for patient info. so you would think they would know better! I do sometimes feel I’m banging my had against a brick wall. I am an educated adult yet frequently leave Rheumatology here feeling like a 5 year old who’s been put right or patted on the head! It is so comforting to have someone set it out so clearly and articulately. Thank you. I hope your book has a massive impact. Give my love to your lovely daughter. I know how precious mine are to me I this battle. I just wanted to thank you for your book and let you know that I’ve posted about it and the link on my blog. I hope this finds you having a low pain day. My name is Ann Lee, i was doing very great until one morning i woke up with painful joints all over couldn’t even move an inch, my mum called our family doctor for check-up and i was took to the hospital later did i found out that i was diagnosed with Rheumatoid Arthritis, i bought lots of medicine as told but nothing worked out a friend of mine told me to contact Standard Herbs Home for herbal remedy which a friend of his also contacted when he was diagnosed of Rheumatoid Arthritis and they really helped him, so i contacted Standard Herbs Home and i purchased the herbal remedy and after 4 months i went for check-up and i was cured from Rheumatoid Arthritis, God bless you Standard Herbs Home. Hello Kelly! I have been following your blogs for a few years now -they have helped me through some tough times and to become more educated. Having dealt with this disease for 22 years (more than half my life), you need to hear that you are not as crazy as you feel after visiting some of these doctors (and trust me when I say I have seen MANY doctors). I continually come away thinking “how can they not see these things that I am dealing with -why do they not LISTEN”. This website and the people who chime in keep me grounded and a positive path. I have finished reading your book and can’t think of the words to say how much I applaud you for your time, research and effort you had to have put into it -all the time battling through what we all deal with on a daily basis. I have been passing it around and talking to others about it, and intend to take it with me to my next drs appt. I don’t know if my doctor will appreciate that or not, but if we want to succeed in making the correct information known, we can’t worry about that. Thank you for all you do!! Holiday blues? Not so much, but…. My new neurologist gave me the good news this week—the nerves are healthy; there’s no entrapment. But, I questioned, how do I do all the slicing and dicing and get my holiday decorations up? I don’t have the grip strength and I can’t work through the pain. 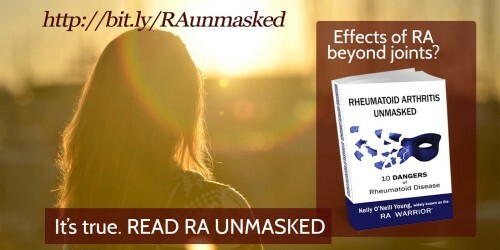 Then the not good news—keep up with your RA treatments. In my head that read: you don’t. This year there will be no fancy Christmas Eve and Christmas Day dinners for family and extended family even though this is what we have always done. No garland, no lights, no aromatic cedar boughs on the mantle; even the hand-made stockings lovingly crafted years ago for each adult family member will not make it to their Christmas home on the staircase banister. I did manage to hang the stockings I made to celebrate each Grandchild’s first Christmas from the loft railing, and I I do know that on Christmas Eve Poppy and I will take them down, fill them full and fat, and place them beneath the tree. And of course there will be gifts for our Grandchildren. Although I have had no hustle left to bustle through the Christmas crush, gifts have been loving and comfortably chosen from home this year with the help of e-commerce and delivered to the door by the magical elves from UPS and the USPS. This Christmastime, as in years past, I have been blessed to be visited and revisited by my children and theirs. This past weekend, my wide-eyed and jaw-dropped Grandchildren spied Santa nearing the family room door. The sight of their faces and the sound of their squeals and shouts, especially those from the almost-seven-year-old who may be far more skeptical come next year, drew me, at last, into the spirit of the season. As echoes of Ho Ho Ho and Merry Christmas eventually faded down the street, my Grandchildren and I gathered around the kitchen table and made snow and glitter filled ornaments to hang on the tree beside those we made last Christmas. Then, with their creative juices still flowing, we began a new tradition of crafting Christmas trees out things the Grandchildren found around the house. They raided my sewing box and the craft cabinet, cut Christmas trees out of construction paper, and decorated them with buttons my mother had saved during my childhood. It was determined that Poppy and I would hide these treasures until Christmas when they would be given as gifts to very special people (aka Mommy and Daddy). These are simple things, easy to do things; still, they are my most important gifts both to and from my Grandchildren. Christmas has always been a time of deeper reflection for me—how “we” have fared, how my children have grown, how theirs are growing. Baptisms to weddings; baby coos to soccer field cheers. The bitter-sweetness of life, of change. The essence of who I am, of what is important in my life, has always been strong and has remained virtually unchanged throughout my life; my body, however, is no longer as strong and some days seems so changed it is hard to recognize as mine. The realization that there is no Rx, no PT, no OT, no alternative therapy, no surgical intervention that will allow me to regain the function I have lost and those I will continue to lose without that elusive cure has fallen heavily on me. No, it has been less “holiday blues” and more my refusal to accept my physical changes—deterioration (I used the word!) and the consequences of those changes, the not being able to do what I always did. There being no alternative, I have finally vowed to make peace with my body and accept what neither I nor medical science can change today. When Christmas 2017 has passed, I am sure I will have very few regrets about preparing a more simple meal, I will still have some pangs about the never bought cedar boughs, and perhaps the garland, too, until the time comes when I normally would be taking it down and packing it all away for another year. Most certainly I will cherish for all of my days memories of my Grandchildren’s eyes wide as saucers and their mouths agape at the sight of Santa, their hushed excitement as they made their parents special gifts, and time spent together actually relaxing with family and enjoying, truly enjoying Christmas Day. May your holidays and all of your New Years be filled with love and new and wonderful discoveries. For all you do, Kelly, thank you and God bless! Good morning and God bless you all who are suffering from this horrible disease. It’s a bad day today. I was 2 hours late for work because I just couldn’t wake up. I slept all day yesterday, all night, and I was still late–and feel like I haven’t slept at all. 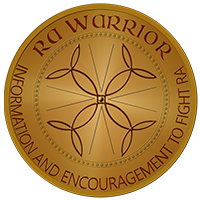 So the RA time you are talking about really hits home for me. IF I make it to where I need to be, I’m usually late. I’m still trying to work fulltime, and I’m also in the military, and I’m just flat out exhausted. Thank you for all of your hard work put into this site. It’s a great resource to be able to go and see what others are going through. I feel like Mike Tyson has punched me in the face…6 times…with a chair. On a side note, I’ve never had problems with my hands until the last few months. I found this stuff called Crazy Aaron’s Thinking Putty in the toy section of a store this weekend and I grabbed it just because it feels like someone massaging my hands when I squeeze it slowly. Others may want to try it. How do I order your book? I would really like to read it. I can’t imagine how hard it was to get it written. To all suffering from this “arthritis”–I say that sarcastly, because that’s what others think it is–I pray that your symptoms are few and that you all have a very Merry Christmas. I find the fatigue is the worst. Sometimes I wonder if I’m just lazy, but I know that’s not it, because I can sleep for 18 hours, wake up and feel like I need another 18 hours. I just needed to comment on this post because it specifically was discussing the being late aspect of things. I’m so sorry about the Mike Tyson thing – although your colorful description is appreciated. I think RA time is like one of our insider sayings with RA /RD. I just purchased your book and began reading on the Kindle App waiting for the hard copy in the mail, WOW it is spot on. One of the things that stood out most to me in my case is I’ve had hand deformities for a long time, I went to a hand surgeon fully expecting him to tell me I needed joint replacement. I was truly surprised when he told me the joints look great my issues came from the tendons. I can’t wait to read further along, its so refreshing to hear the truth.Thank you RaWarrior.